Cochinillo is a piglet roasted after feeding on sow’s milk for two to six weeks. 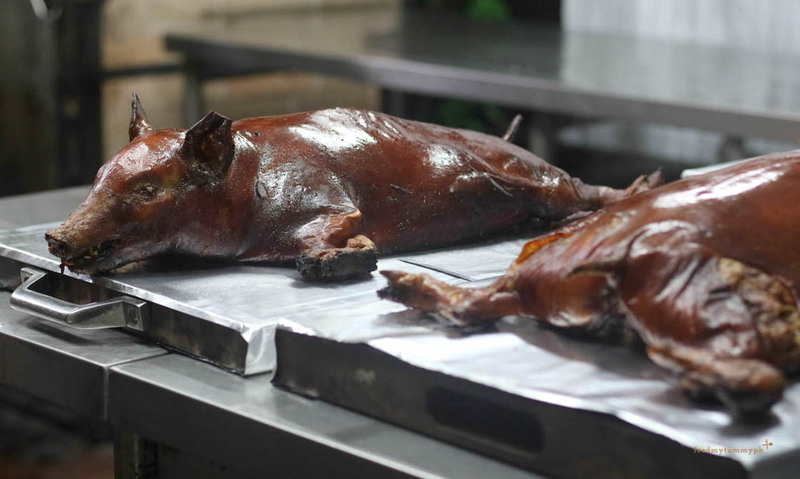 The most famous version of roast suckling pig originates in Segovia, city northwest of Madrid, Spain. 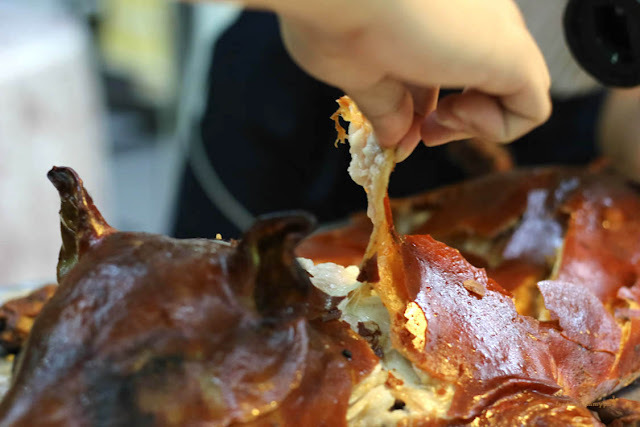 For us Filipinos, lechon may be a staple food but the execution in the preparation of a truly delectable cochinillo lies in the careful selection of piglet, thoroughly cleaned and trimmed before marinated in a special mix of olive oil, herbs and spices. Slow-roasted in a custom-made brick oven for hours, cooked in its natural juices and with smokiness from roasting over wood and coal. 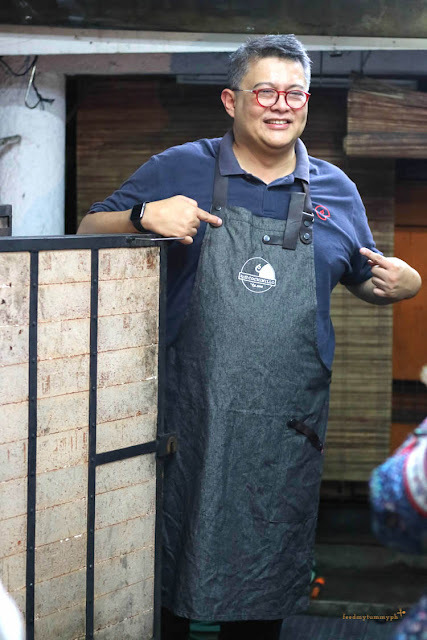 Owner and founder Tinee de Guzman strive to provide the best quality food to the market, he carefully chooses the prime meat from trusted local farmers to maintain excellence when it comes to his dishes. 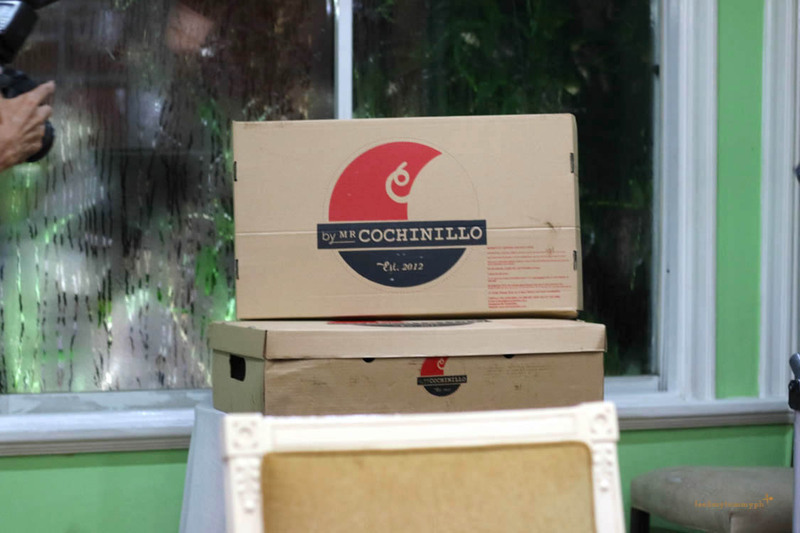 He started out as food photographer then became Mr. Cochinillo after he stumbled upon his own signature technique of preparing cochinillo that has been sought after by customers since 2012. Mr. Cochinillo’s version is a crisp, succulent with moist and tasty meat that easily falls off the bone. Normally served without sauce, cochinillo meat has a buttery texture and light, crisp, golden brown skin easily sliced showing its tenderness and delicateness. He welcomed some foodies at his home for a night of great food, delicious drinks and good company. 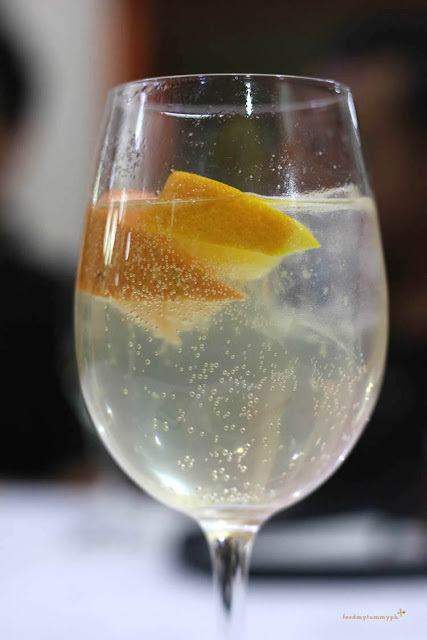 They have set up a mix bar with various gin brands like Roku Gin and Gin Mare just to name a few with fresh fruits and soda water to infuse with. I just have to emphasize on great food. He demonstrated how crispy his dish was by using a plate to slice it. The first bite I took of its skin was so heavenly that it melted in my mouth. We were at awe on how delicate this dish was and meticulously made. Pasta version of paella, using huge shrimp, mussels and calms. 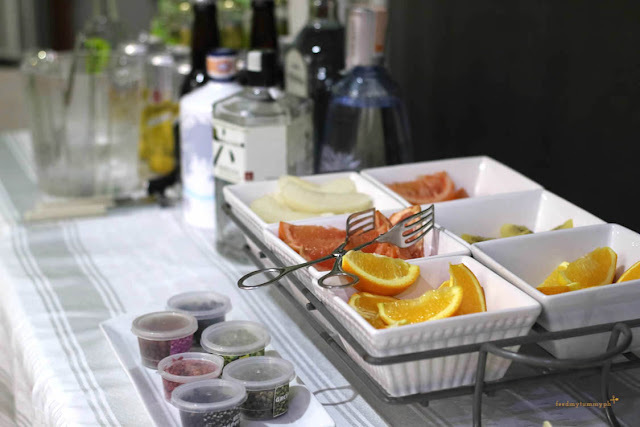 Certainly a perfect addition to your family gatherings. Short strand pasta was used to make this dish. Sauce was light and not too overpowering plus the seafood tasted fresh too. 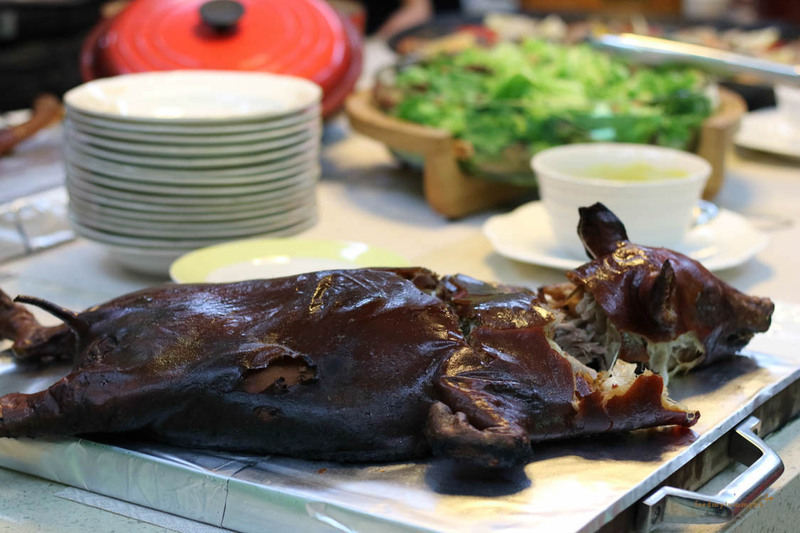 They've also introduced a new variant with the beloved cochinillo slathered with Goat's Fat where it made the cochinillo tastier with a bolder taste and extra sinful. 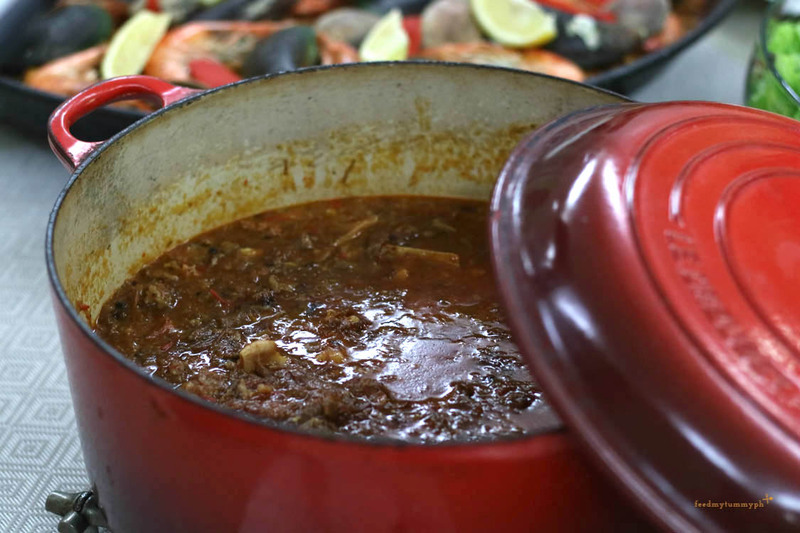 Oxtail stew or braised oxtail, this osseous and fatty dish was slowly stewed in low heat for several hours which can made the sauce thicker and flavorful with the help of different herbs and spices. I could eat the sauce with rice to be honest. I truly love the crispiness of the skin and how smooth and buttery it was. 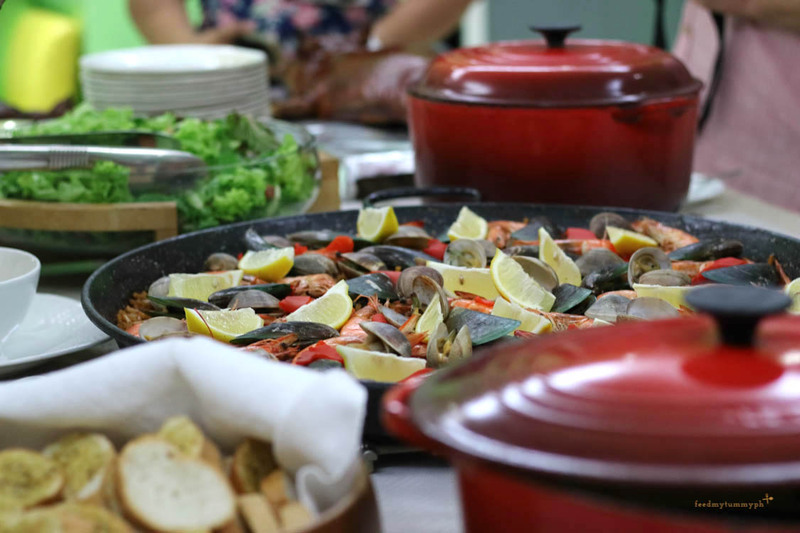 If you truly want to make your get together memorable it wouldn't hurt to serve a cochinillo. I'm sure it will be gone in less than 60 seconds. Great news too they've expanded their payment options. You can now use your credit card to pay for your orders. Major credit card providers are accepted on their website. ** Orders of Cochinillo del Cielo (Original & Goose's Fat) and Black Pig will have an additional 10% surcharge from December 1, 2018 to January 3, 2019. Pickup of orders will be at Green Meadows Subdivision in Quezon City.